Here Karen Webb interviews the organizers charmingly during the fair and ensures the promotion of the products. 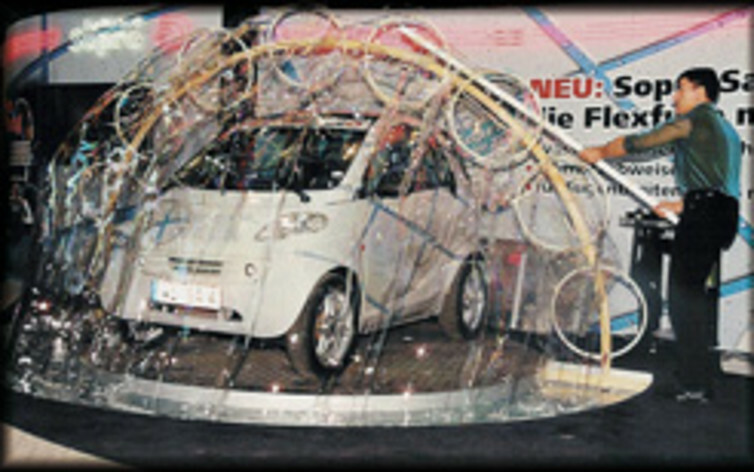 Afterwards she will present the show of a soap bubble artist who will wrap the car, the product, in a single soap bubble. Ask us, we are constantly updating and are happy to find the right moderation for your event. Living-Dolls disguised as robots are the eye-catcher of a trade fair presentation. 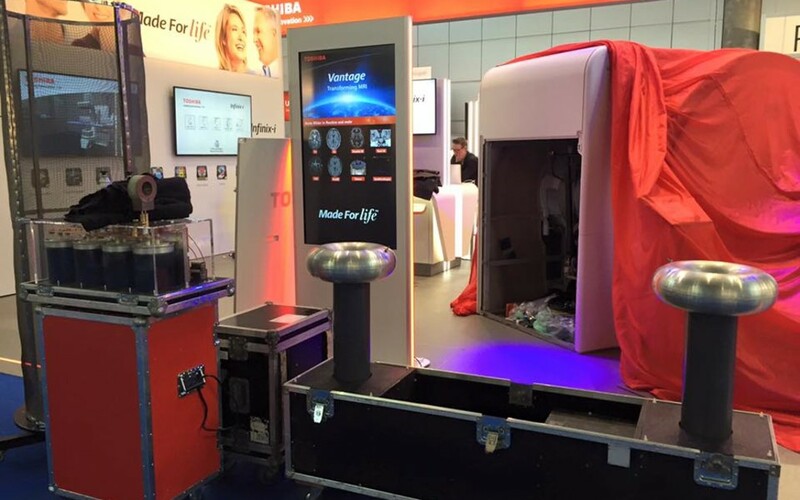 Like living but silent robots, they silently create sensational appearances at fairs, events and exhibitions and draw the attention of the guests to the scene of the event. Presentations on Galas, Booth and Events, Künstlervermittlung Berlin creates the unique appearance for your product. 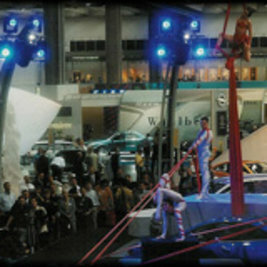 Trained artists create a unique choreographed combination of artistic skill and modern dance performance around your product and at your trade fair. 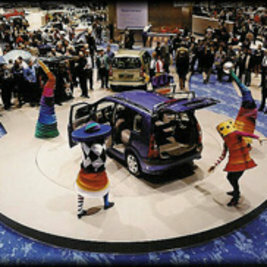 The artists stage dance, artistry and trends and make their corporate values and product advantages visible at trade fairs. 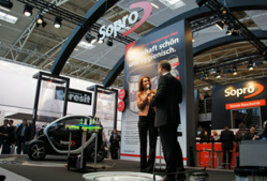 Hostesses in vampire costumes welcome your visitors and present their products at the exhibition stand. They purposefully lure visitors to the exhibition stand by putting on "horns". Bring your product and brand to life, visualize and enhance the benefits and messages of your marketing strategy through product presentations and trade shows. In the designed experience space at your fair, we celebrate and integrate your news and offer you a platform for communication with your customers. 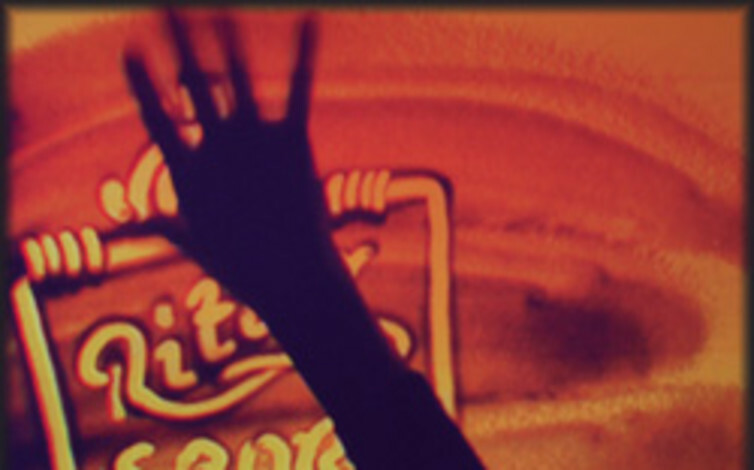 The highlight of your company event is the logo made of light or the lettering of your brand name. Exceptionally colorful and threedimensional, the logos are drawn into the room and set in motion with specially developed artistry. Created sand and company stories on a very high quality level develop like sand by itself. Sand stories with content, charm and wit arouse emotions and make the soul dangle with musical accompaniment. Focus on your product and put it in the spotlight with the dancers. Dance serves as an efficient staging element to uniquely present your product. Immerse yourself and your customers in a varied presentation that you will not soon forget! 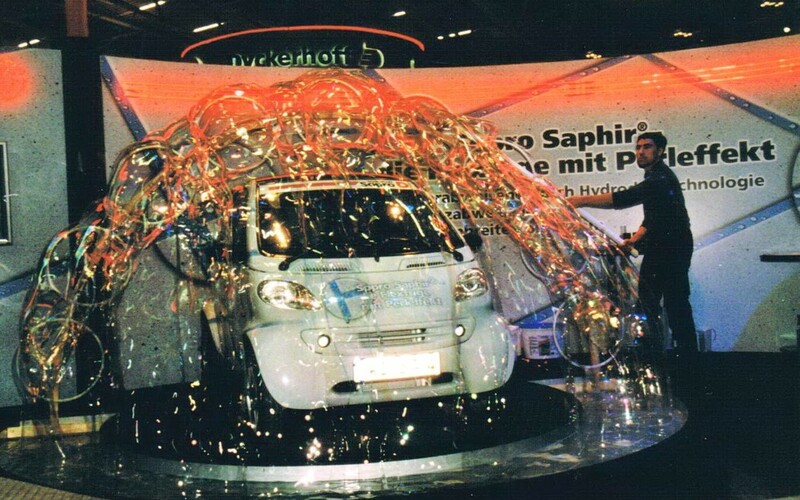 Extravagant soap bubble shows with soap bubbles in every shape and size enveloping the animals, their products and guests. Even adults like to be fascinated by the poetry of the soap bubble game. Bubble artists can integrate your company logo into soap bubbles, enveloping complete products and even groups of people.